The earlier version of SoftEther 1.0 (older version) only allowed the user to create one Virtual Network Adapter on the system. In SoftEther VPN Client, however, multiple Virtual Network Adapters can be created on the system, unique TCP/IP protocol settings can be configured for each Virtual Network Adapter, and these Virtual Network Adapters can then connect to the VPN simultaneously as individual network devices. Support for Multiple Virtual Network Adapters. When a VPN client uses a Virtual Network Adapter which is not connected to a VPN, the adapter operates in exactly the same state as when the network cable between a physical network adapter and the switching hub is disconnected. 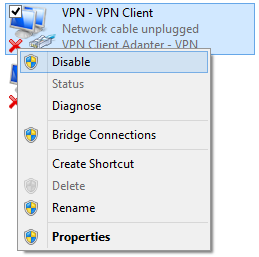 Therefore when a Virtual Network Adapter is used and a VPN is not connected, Windows handles that Virtual Network Adapter as a network adapter to which no network cable is attached. When a VPN connection is established using Virtual Network Adapter, the operation will start in the same fashion just as when a network adapter is connected to a switching hub by a network cable. 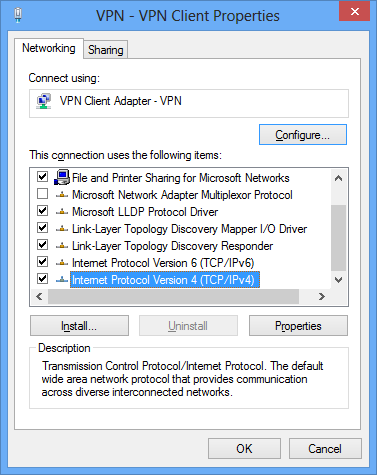 The version of the device driver of the Virtual Network Adapter created by the user is displayed in VPN Client Manager. This is the version of the device driver program file at the time the user registered the Virtual Network Adapter to Windows. The version of the device driver of the Virtual Network Adapter is the same as the version of the VPN Client software used to create the Virtual Network Adapter. Even if a later version of the VPN Client software is installed thereafter, the version of the device driver of the previously created Virtual Network Adapter is not updated. To update the version of the device driver of the Virtual Network Adapter to the same version of the VPN Client software, use VPN Client Manager to select the Virtual Network Adapter to be updated and click [Reinstall Driver] on the [Virtual Adapter] menu. 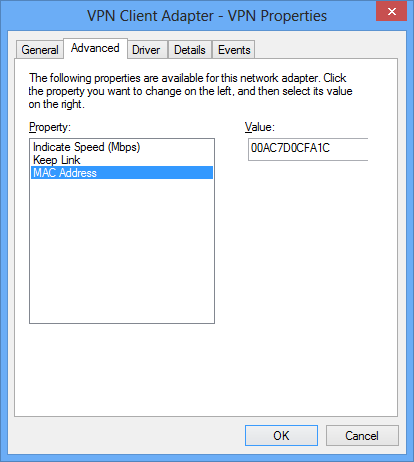 In SoftEther 1.0 (older version), it was possible to connect a virtual network to a physical network using the Windows function to create a bridge connection between the Virtual Network Adapter and physical network adapter. In SoftEther VPN, the user can create a local bridge connection between a Virtual Hub and an existing physical LAN with the functions provided in VPN Server and VPN Bridge. (For details, please refer to 3.6 Local Bridges. 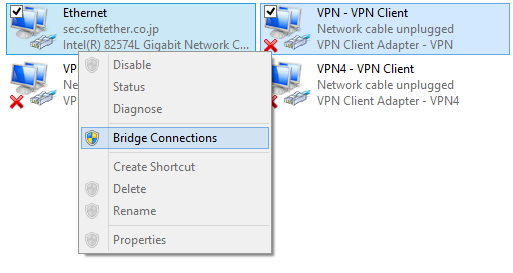 )Because the performance of the local bridge connection function of VPN Server / VPN Bridge is the same as or better than that when using VPN Client together with the bridge connection function of Windows XP or later, normally, there is no need to use the bridge connection function on the client side. Under special circumstances or when the user wants to create a bridge connection between the Virtual Network Adapter and physical network adapter on the VPN Client side, a bridge connection can be created in the same way as the Virtual Network Adapter of SoftEther 1.0 (older version). In these cases, connect the Virtual Network Adapter and the physical network adapter using the same method for creating a bridge connection between two network adapters using the functions of Windows XP/Server 2003/Vista/7/8/Server 2008/Server 2012. Between a Virtual Network Adapter and Physical Network Adapter.